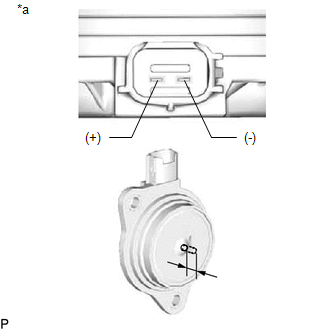 (1) Apply battery voltage between the terminals and check that the plunger operates. The plunger extends outwards 5.9 mm (0.232 in.) or more. If the result is not as specified, replace the camshaft timing oil control solenoid assembly.